Portugese black/death metal formation Decayed and myself have somewhat of a long history. I remember first hearing this band, when some kind of obscure label two people heard of re-released their 1996 album “Resurrectiónem Mortuórum”. Since those days I have heard much (but certainly not all) of their discography upon release, thanks to the fine people at BlackSeed Productions, who despite all my inevitable nagging and bitching, continue to send promos of their priority releases. This is, of course, wholeheartedly appreciated and I thank them for the continued support. “The Ancient Brethren” is this band’s ninth full-length release since forming in 1990, and while the line-ups may have changed, Decayed’s sound never strayed too much from the path of devastatingly heavy and utterly relentless death/black metal. Much like 2008’s “The Black Metal Flame” this record emphasizes the band’s death metal aspect more, and like that record there is a current of Australian war-metal and early European death metal that runs through out this record. This is also Decayed’s most concrete and meatiest sounding record to date. The production has the fullness of the best 90s Morrisound productions and a clarity often associated with European productions. Where a lot of contemporary bands tend to get lost in digital, sterile and flat sounding productions “The Ancient Brethren” sounds organic, analog and possesses the sort of crunch similar to Possessed’s “Seven Churches” or any early thrash metal record. As Decayed are one of the earlier practitioners of the black metal genre, they are far more reliant on old school thrash metal techniques, and while they may not be the fastest or most evil outfit on the scene today, their uncanny ability to write effective songs within the framework of their skills make them all the more powerful. Like the records preceding this one much attention has been given to atmosphere and “The Ancient Brethren” is no different. On this record you can also find monk chants, female vocals, sounds of war, howling winds, etc. The use of these effects is spare, but when they do appear they don’t miss their mark in the least. Less is always more, Decayed understand this principle to the fullest. Everything is there for a reason. Like many of the earlier black metal formations Decayed is ultimately a ripping thrash metal band with an occult paintjob. The pedal is kept firmly to the metal, and like any good thrash or death metal band Decayed isn’t afraid to actually solo every once in a while. These solos aren’t especially showman-like or technically amazing, but they always fit in whatever song they appear in. They never outstay their welcome and when they actually arrive they add a new layer of excitement to the song in question. It also helps that bass guitar can be heard plucking and popping away. Most of the time the bassist is quite happy to just double the guitars, but it’s good that the bass guitar can be heard in the background. More extreme metal needs to be of that mindset, the bass guitar can be very interesting when used correctly. Not too many bands seem to grasp this apparently revolutionary concept that the bass adds to the general heaviness quota. I suppose this is the part where I tell you about the production and how it compares to past offerings. In a lot of ways it isn’t very different from this band’s past recordings. In a lot of ways it is reminiscent of the newer albums by US death/thrash combo Sathanas, while in other parts (the drum production, bass presence) it is reminiscent of early Sepultura, circa “Schizophrenia” and “Beneath the Remains”. For one it is a naturally warm sounding production, retaining that organic crunch so often lost in today’s habitually flat and sterile sounding digital production jobs. I concede that this record sometimes sounds ugly and may be on the raw side, but that is exactly what sells this band. Decayed is loud, aggressive and ugly sounding, for they embody the underground spirit to the fullest without shortselling itself. They are filthy, but not underproduced. They are crunchy but not raw and unhinged. There’s no excess, only hunger and gusto. If you, like me, are of the opinion that too much black – and death metal has descended in becoming a parody and caricature of itself, you’ll probably love this record a whole lot more. 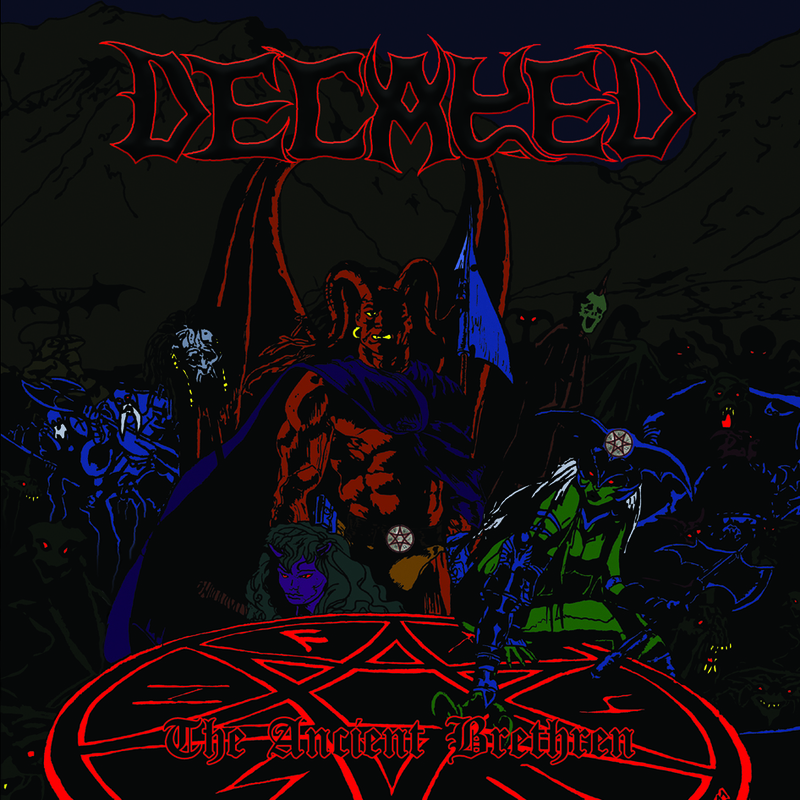 Decayed are the contemporary incarnation of legendary Swedish horde Bathory in the sense that all good black metal is just thrash – and death metal played from a different perspective, from a different creative angle, but with the same general mindset. The early black (and death) metal bands didn’t care about who wrote the most difficult song, who had the most strings on their guitar or who could blast the fastest. No. They just wrote incredible songs and had no other ulterior motive but that one objective. Unfortunately, Decayed are a lone beacon in a sea of mediocrity, hero-worship and bedroom projects gone horribly and incredibly wrong. Thanks Decayed for reminding me why I bother with underground metal in the first place. You make it worth it. 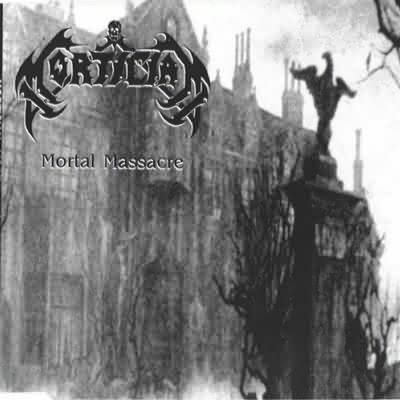 If there is one Mortician album that could be recommended in good conscious to any fanatic of the death metal genre, “Mortal Massacre” would be it. Functioning both as a studio outing and an early live document there’s a simple and brutish charm about this EP. Capturing Mortician in its embryonal, most humane form it is a testament to what could have been, and a reminder of what this band was from the very onset. A primitively hacked out, lo-fi Incantation knock-off that only went on by the grace of its novelty gimmick: obscure horror movies. All studio songs, title track excepted, from this EP would end up on future releases some years down the line. So what does that tell you? Well, mostly that after this EP the band had written all its good material, and would mostly thrive on its novelty factor and the thing they are most known for, the stock movie samples from various cult sci-fi/horror movies from the ‘60s through ‘80s. The EP starts off with a too long sample from the original 1968 “Night Of the Living Dead” by director George A. Romero that serves to set the mood for the recording. The guitar noise that introduces ‘Mortal Massacre’ would become staple for the band. Never known for its subtlety Mortician plays its hand in this track. The riffing is about as interesting as the band is going to get, and the fact that this is the only recording to feature drummer Matt Sicher, makes it all sound more human and organic. This EP also introduces Roger J. Beaujard on rhythm guitars, and thus completes the undynamic duo that will become the central identifier of the band. There are still plenty of Mortician trademarks to be found: the subwoofer vocals of Will Rahmer, who provides bass guitar, the overly distorted but awfully thin sounding guitars and the overall lack of ornamental grace in regards to composition, song arrangements and overall execution. The bass guitar has always been unique in its usage with this band, and this record is the first exhibit. Instead of providing a solid backbone to the music, it is swampy, moist sounding formless noise that is felt more often than it can be discerned from the heavily distorted but strangely thin guitars – and it only comes to live, briefly, in the track’s bass break. ‘Drilling For Brains’ is cut from the same cloth. Moreso than the title track it is dependent on Rahmer’s continuous yawning cavernous grunts that get accentuated in the breaks, of which there are several. ‘Redrum’, introduced a sample from Stanley Kubrick’s adaptation of “The Shining”, starts off with a simple drum roll and is the most atmospheric track the band has ever written outside of ‘Necrocannibal’. With these three tracks being the newest written it is only logical they were first on the tracklist. ‘Mortal Massacre’ and ‘Necrocannibal’ are the best songs for all the obvious reasons. They actually are genuine songs. These specific tracks, however unrefined and primitive, build towards a climax. In terms of composition and arrangement they are the most ambitious this band would ever pen, therefore they are also the only ones of their kind. The last three studio tracks sound different from the first three, as they constitute the band’s “Brutally Mutilated” demo from 1990. The band had taken up residence at a different facility, and these tracks have a raw rehearsal quality to them that makes the drums more commanding, the rhythm – and bass guitar more concrete in tone and Rahmer’s vocals are actually human sounding for a change. This demo is the most organic, warm and natural that Mortician will ever sound. This was originally released as an independently circulated demo tape dubbed “Demo 1” and later re-distributed as a slightly superior looking 7” on American label Seraphic Decay Records. These very same recordings were later included (along with a splash of crude live soundboard recordings) in the “underground series” of re-issues through American independent label Relapse Records. The new cuts sound notably more mechanical and unnatural in both recording and composition. That ailment would come to characterize the band later in their career. There’s no doubt that “Brutally Mutilated” - along with the rising grindcore movement in the US and the UK of the late ‘80s/early ‘90s - lays much of the groundwork for what later would be dubbed the “brutal” subset of death metal. If there’s one thing that Mortician always mastered above all else was the art of presentation. With a tasteful gray shot of “Phantasm” The Tall Man’s residence presented on a folded single sleeve (in the Relapse Underground Series print, at any rate) “Mortal Massacre” is both economic and cost-efficient at the same time. There are no lyrics, no band pictures or anything else to be found, and that is what adds a lot of the charm. They were just three horror-obsessed metalheads, probably slaving away at some unfulfilling low wage job, trying to make the most of what they had, and cutting corners where they could. Because this is Mortician, I’m willing to cut them some slack. What does make “Mortal Massacre”, as a recording, stand out from the rest of the Mortician catalogue is mostly its lineage and riff construction. 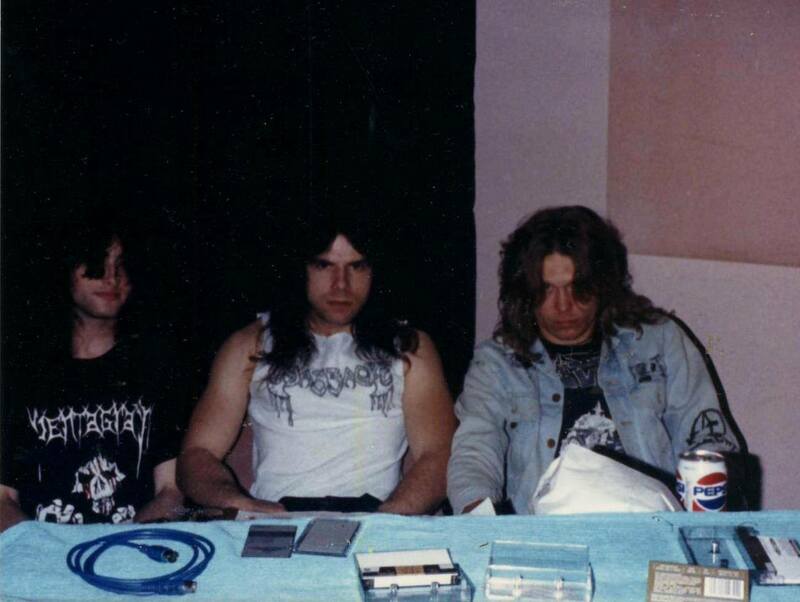 First, vocalist and bass guitarist Will Rahmer, however briefly, spent time in New York death metal stalwarts Incantation during their demo phase, and Incantation figurehead John McEntee in turn provided his guitar services to Mortician’s demo phase, of which “Mortal Massacre” is the concluding chapter. Second, the riff construction reeks of Incantation influence, and in turn of a more archaic early metal architecture simultaneously. A lot of these riffs could just have been pulled off an early Incantation record, they’d could just as easily been beefed, overly distorted Celtic Frost, Mantas, or Possessed riffs at that. This makes “Mortal Massacre” heads and shoulders more interesting than anything the band would record later. There’s an influence of early extreme metal here that would be sadly lost in any of the band’s later recordings. “Hacked Up For Barbecue” only gets by on the graces that it consists, at least for a good part, of re-recorded demo tracks – everything after actually has the band regressing to an even more bare bones state. A pity indeed.